Oh my goodness!!! Oh the mailman was so good to me this week!! I will tell you all about my packages in a bit...but first...I must must show you these incredible little treasures that just arrived!! 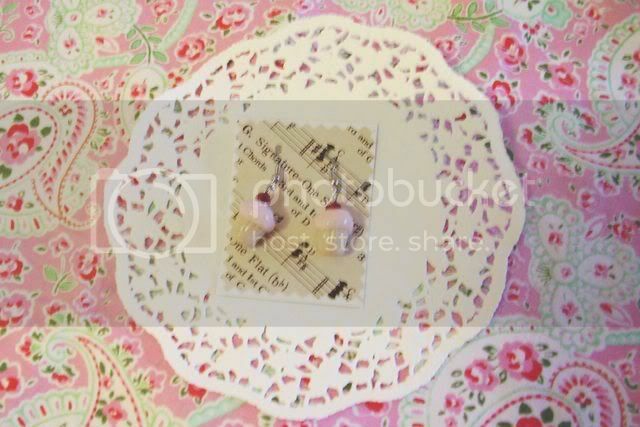 These perfect little creations are by the one and only "Amazing Grace" over at Turkey Feathers!! Vicki's super duper sweet and talented TEEN daughter! !..Yes...I said TEEN!! I cannot believe my eyes!! Just when I think I have seen it all...Grace knocks my socks off again!! 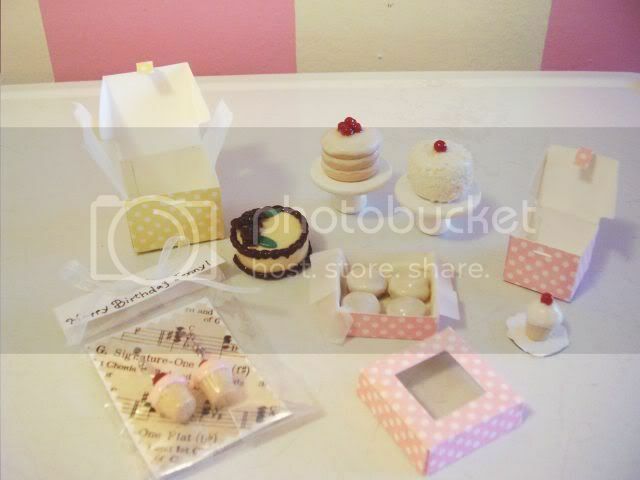 Ok first of all...if you have not seen the incredible mini patisserie that they have created. Words cannot describe how magical it is!! You will flip for it! Trust me! And be sure to follow the link to the their Etsy shop!! I know that the grand opening sales were non stop....but Grace is always working on her fabulous goodies...so be sure to check back! I was lucky enough to purchase an incredible buttery/cream cake, a box of the tiniest cinnamon rolls, a white cupcake to complete my trio, an oh so beautiful layer cake complete with the most perfect chocolate roses, and piping, as well as an adorable coconut layer cake..complete with flakes of coconut and a cherry on top!! And I cannot tell you how surprised and delighted I was to find a unexpected special little gift tucked into this sweet package......tiny hand sculpted pink cupcake earrings!!! I truly am just so blown away by Grace's kindness, creativity, and generosity! She is an amazing girl! Thank you SO SO much Grace!! I beyond adore everything! I cannot wait to wear my earrings!! I had ice cream cones, and donuts, and cake slices, ...I have been wanting cupcakes forever...these are PERFECT!! Yipeee!! I cannot wait for Aaron to get home to show him these sweet lil bits!! ....well...that, and to hold some lights for me so I can take decent photos!! It is soo dark today!! I'll be back with some more eye candy later today!! I am totally amazed at graces talent too! I love reading their blog also. Talk about a talented family! The earrings she sent you are darling ;) Happy belated!